Here's your New Year's chapter that I'm 2 weeks behind and 4 weeks out of season on! Also, I found someone who gave me the money to buy that Ume Aoki doujin so you can look forward to it in the coming weeks. P.S. 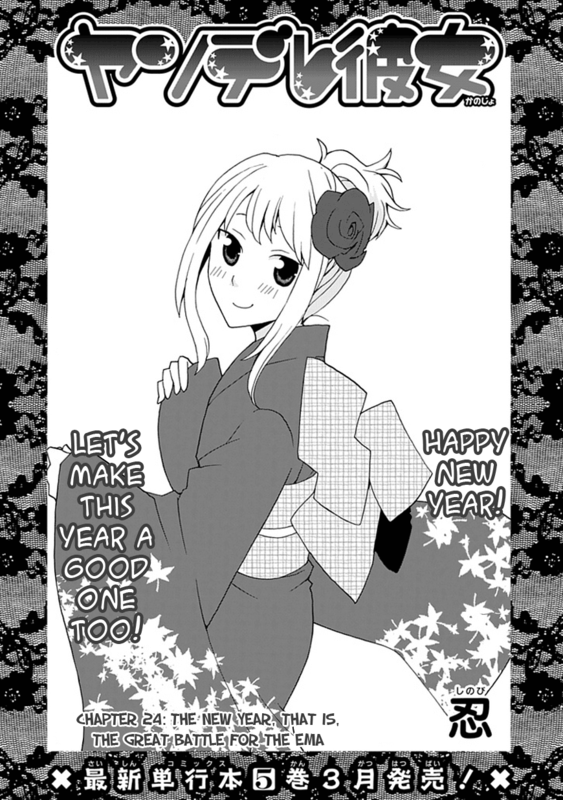 - Ema are those wooden plaques that you write your wish for the new year on and hang up at a shrine. You can read more about them here. "Here's your New Year's chapter that I'm 2 weeks behind and 4 weeks out of season on!" Looking forward to some Ume goodness. Thanks, guy who funded it. Tis' truely a shame that Lavender Girl ended up bad, as I liked Sharin no Kuni quite a bit (enough to play it through in 2 sessions of 9 and 22 hours respectively).